It happens now. 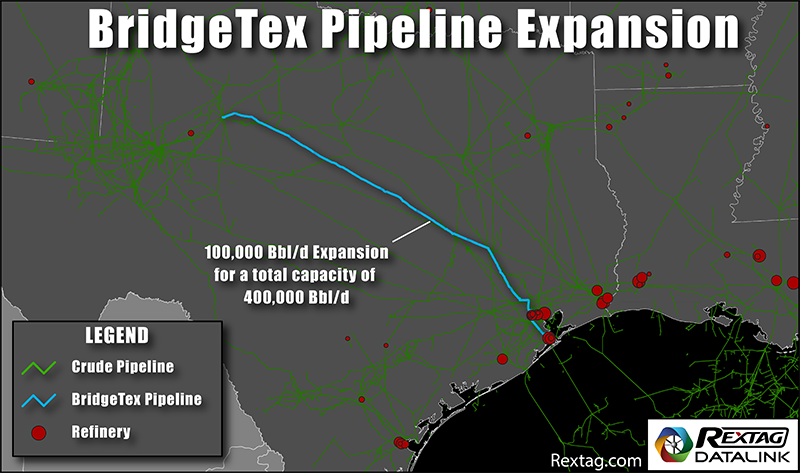 BridgeTex Pipeline Company (50%-owned by PAA) is expanding its BridgeTex pipeline from Colorado City to Houston, TX to approximately 400,000 barrels per day. To be completed in the 2Q of 2017.